We Sell Period Fittings & Traditional Paraphernalia For The Home & Garden & Now Contemporary Products for The Eclectic Home Too! 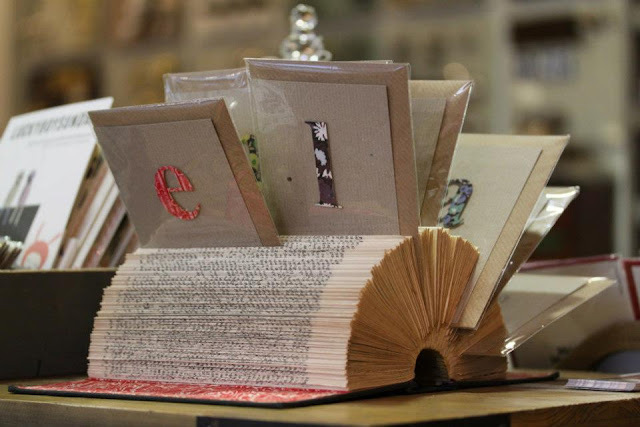 The ladies at Willow & Stone made these wonderful card displays using old books and simply folding down two pages at a time. They have a multitude of uses - not just for retail but to hold recipes, reminders, display your collection of post cards etc etc. Make sure you choose a book with distinctive end papers. This old book was £2 from a second hand book store on our high street. Click here to view our paper goods and stationery. 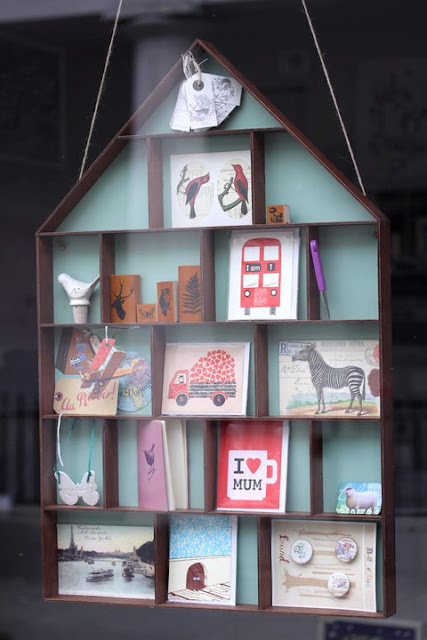 Another display idea which seems to becoming more popular are these doll house style shelf units. This one has tiny shelves and a painted backing. We use it to display small cards, stickers and odd little products we've stumbled upon. The colour of an elephants breath? Meet Fliss, passionate about interiors, colour and more..